Skate Cross Station Progression #1 | Ice Hockey Systems Inc. 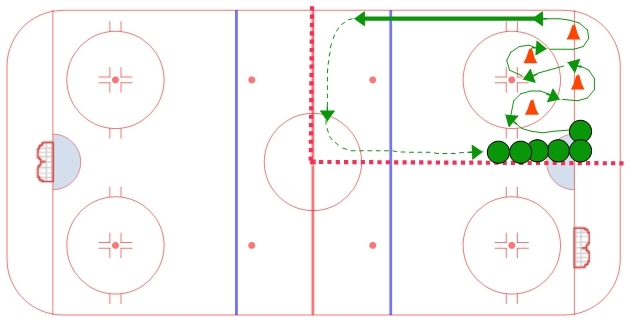 The goal of this is a simple drill for the younger players that can used in a quarter ice station. The players will work on turning to both directions around the cones. After each cone the players should be able to take a couple of good strides before turning around the next cone. After the second cone the players shoul work on full length strides and try to get to full speed by the blue line.